We breed for Health & Temperament, versatility All Disciplines, Intelligence,Conformation conforms to(FCI)Bred with honesty & integrity. European working bloodlines.Power Hunters All game all Terrain. Biggest GENE pool of imported bloodlines. Breeder of breed Record holders, 8 BEST IN SHOW ALL BREEDS CHAMP & 1st GRAND CHAMP.Pedigree,Ozdog Awards Aust/NZ for 10 years,current Top Stud dog Producer of Multi champs and Duals. Royal BOB and group winners. 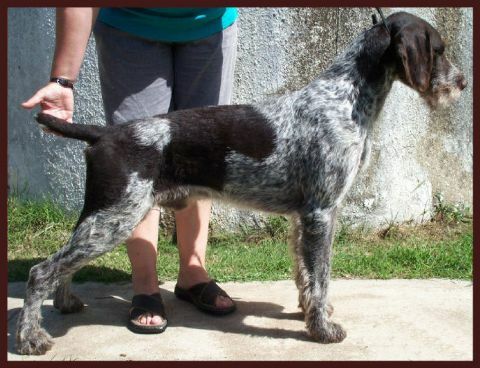 Home of Aust/Am Ch Weidenhugel Kyoko V Victor MASTER HUNTER & NAVHDA P1/NA. The most HIGHLY hunt Titled GWP in Australia. 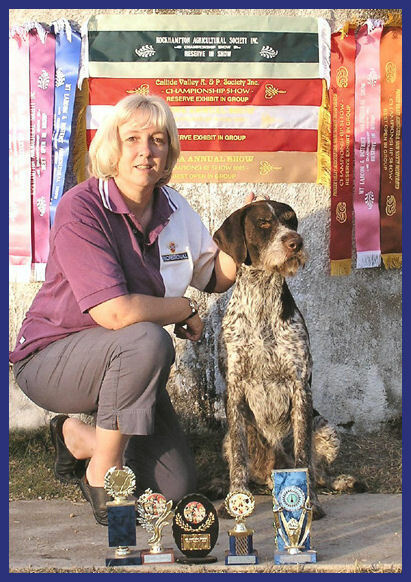 Ky was Titled in 8 Shows in Aust titled in March 06, with Breed competition & Multiple Best in Group wins. Ky has OFA Good Hips,eyes Tested Clear. Ky's progeny have been exported to Europe,1 has multi group wins with 2150 entries,Dutch CH Kobnko Y R To Footsteps,Winner of Multi BOBs in Europe with competition. Crufts Qualified Kobnko Y R Ova The Pond. Ky has Champion progeny with Majors in mainland USA. Controlled Breeding Program emphasis on performance & co-operation.We have confidence in our dogs high standards & their ability to be True to Breed formity without illusion. Our record speaks for itself that our dogs have been proven Internationally and not just Champions which is easy to obtain. This is Tom and I above in 2003 after he was absent from the ring for over 2 years we returned as a team for a few months and gained his Grand Champion is Style, Tom loved to show and even today his attitude is always ready for action. The breed is our passion not a business. 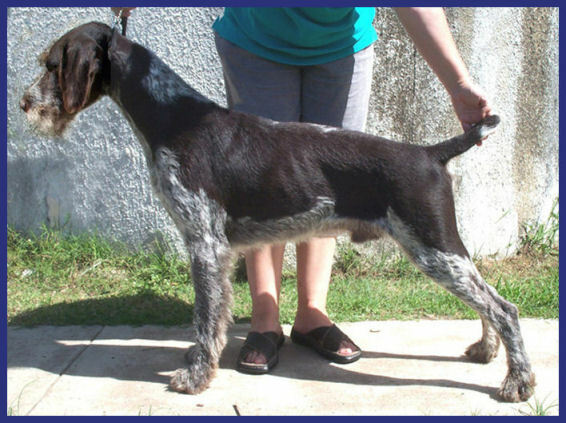 For Health, Versatility All Disciplines, Intelligence, Conformation Conforming to Australian FCI Breed Standard.